Hosting a family gathering requires a lot of planning and decision making. Let us help with the success of your next gathering. 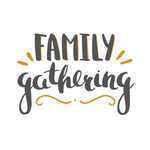 Each family has its own mix of reasons for planning a gathering. It might be after a major family event, or it may be planned to coincide with a family milestone, like a 50th wedding anniversary. Some families establish a routine of having a reunion every year, or every few years, to keep relatives from drifting apart from one another. Even in families that see each other often, having a dedicated day when the focus is all about togetherness is useful in helping relatives reconnect. Contact the church office at (702) 454-7989 to schedule a tour of the campus and find a space perfect for your next family gathering.